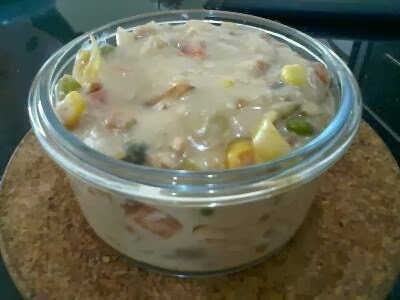 Ingredients: Mixed vege, canned tuna, onions, tomatoes and cream of mushroom (not shown below). 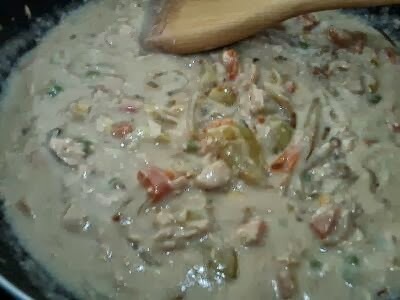 Fry onions, tomatoes, mixed vege and tuna in (olive) oil, chuck in the can of mushroom cream, add half a can of water and let it simmer. 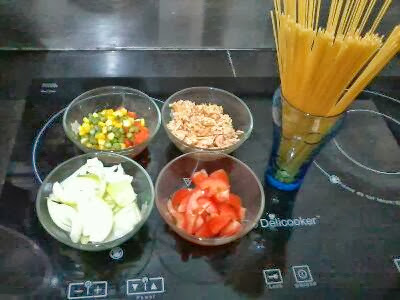 Serve over (cooked) spaghetti.